Added on September 2, 2014 by Dylan Silver. 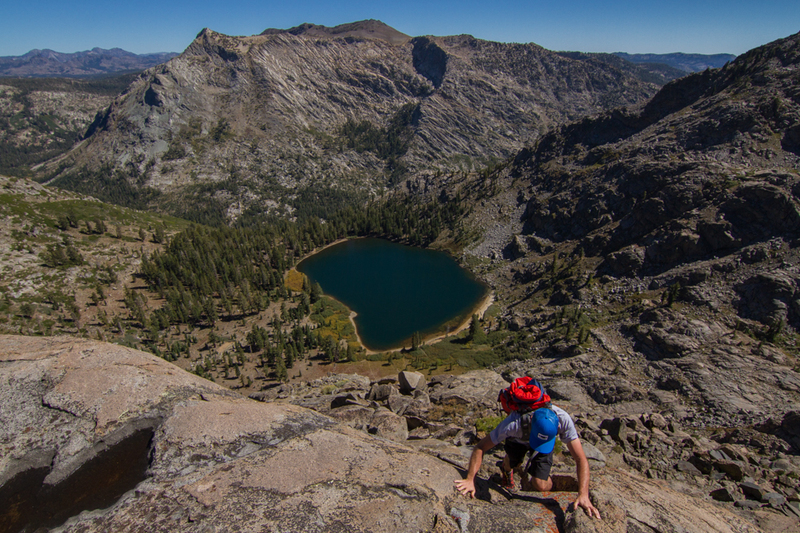 I did an amazing hike over Labor Day Weekend to Fourth of July Lake in the Carson Pass area of the Sierras. We were lucky enough to score a permit (there are only 6 issued at a time) to camp for two nights. Instead of hiking the normal route to Fourth of July, we decided to take the Pacific Crest Trail to Summit City Trail and around the backside of Round Top. Though there was a bit of bushwhacking, it was an incredible hike. From our campsite, we took off and climbed Round Top and another peak in the area. I shot this of my friend John Bodley, exploring the steeps above the little lake.